« Can You Identify Who This King Is? SOUTH AFRICA [CHI] — Ilana Yahav internationally renowned sand animation artist enthralled close to 2000 people at Chabad House Johannesburg’s annual Miracle Drive Dinner, which helped raise nearly $1.8 million to help support Chabad activities in South Africa. In addition, Nissan motor corporation gave away 3 cars and in the most spectacular display, where a car floated down from the roof. New Chabad outreach activities were also launched for the year. Rabbi Michael Katz, Robbie Brozin, Jonathan Novick, Rabbi David Masinter, Johan Kleynhans and Larry Lipshitz. Rabbi Michael katz what can i say your the MAN.and behind every great man is his his GREAT wife. ha ha haa love you all. wow wow wow! lubavitcher shluchim! amazing event. wish i could have been there but i live in miami beach! 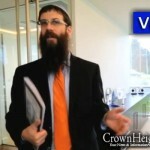 Rav Michael Katz, as director of Chabad South Africa, you are ba”h a true and sincere Shaliach. You organised this event to perfection!!! Wishing you all much success for the future! 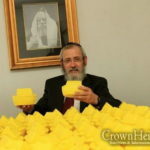 Chabad worldwide can be so proud!!! Go Katz’s, You guys rock!!! WOW! Looks amazing! How come NY doesn’t make anything like that? The most amazing shluchim…Rabbi and Rebbitzen Katz,So devoted so hard working!their community is lucky to have them,Much Hatzlocho! 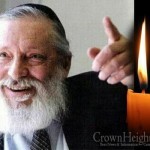 Hashem should watch over reb michael katz! He is a fine person with an amazing gift of oratory. The Rebbe wants the message of sheva mitzvos and he is well qualified to present it.